At Trinity Transportation, we look to train and hire the best. Our customer care and safety is our #1 priority and our quality drivers are what makes this happen. 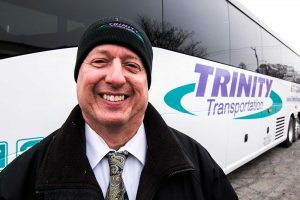 Trinity Transportation is excited to announce new hiring wages for drivers and aides. We are thrilled to announce we are now hiring school bus drivers up to $17.50 an hour and motor coach drivers up to $16.50 an hour. 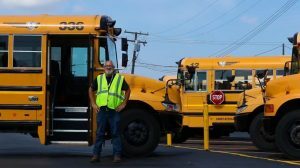 Sedan drivers and School Bus Aides will now start at $10.00 an hour. Don’t have a CDL? Trinity Transportation offers paid training to help you obtain your commercial driver’s license. If you’re a current truck driver with over the road experience, we want you as well! Employees can expect: paid training, weekly pay, health insurance, paid holiday & vacation time, 401k and much more!